You've likely seen some of the beauty of New Zealand. It's been on display in such movies as The Lord of the Rings trilogy, as well as the Narnia movies. It truly lends itself to the Middle Earth feel with the breathtaking landscapes. But the movies only show you parts of this paradise. Google is taking on yet another wild destination, hauling its Trekker technology down to Australia's neighbor for what it terms a walk on the wild side. From the lush hills to waterfalls to Alpine-like peaks, the incredible beauty of this seemingly remote place comes to life. Get started on your journey from the Enchanted Forest to Panekire Bluff and locations like Corical Hill, Sutherland Falls and more. There's a lot to see in a nation that isn't particularly large. "New Zealand’s Great Walks have long been on the bucket list of keen outdoors people from all around the world. 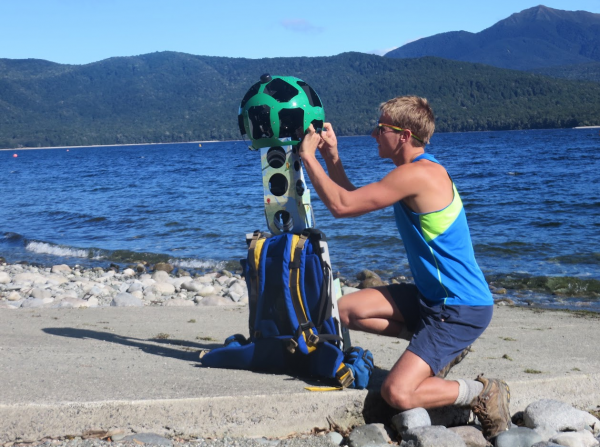 We hope by bringing the Milford, Kepler, Abel Tasman, Lake Waikaremoana, Heaphy, Routeburn and Rakiura / Stewart Island tracks to Street View, these images will not only help people who are about to trek them prepare, but give anyone who wants to virtually roam the beauty of the Great Walks an opportunity to do so. And you can view more Street View collections from around New Zealand here", says Google's Cynthia Wei. Now you don't need to pay a fortune to make the trip. Then again, this may just reinforce your desire to do exactly that.